Flower & The Bee - Bonus Episode | Neil Adams MBE - The Podcast. 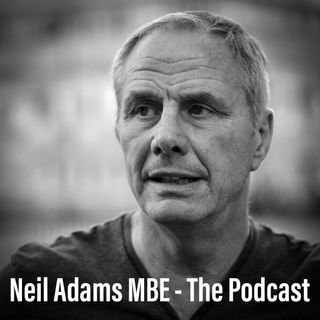 From: Neil Adams MBE - The Podcast. Hello thanks for downloading this special bonus episode of Neil’s podcast. At the end of the last episode we were speaking about Neil’s voice work and it seems like a good time to share something of that work with you. It’s called Flower & The Bee and really showcases what Neil can do. It’s just ten minutes long and is part of an album of stories called Strays which we released in 2016. Special thanks go to Goran Powell for editing feedback while I was writing Flower, ... See More there's a link to him below. This copy is a gift to all our listeners - from Neil, and me Stuart Williams. Flower and the bee was read by Neil Adams and written and produced by Stuart Williams.